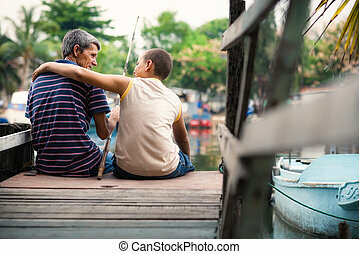 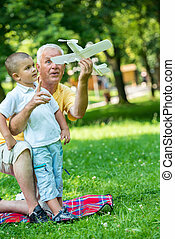 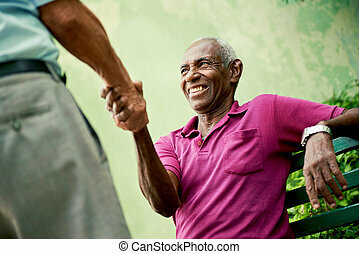 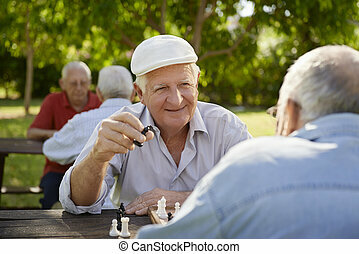 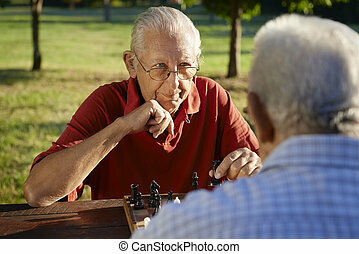 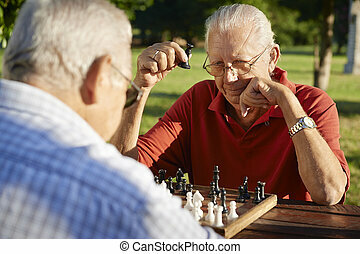 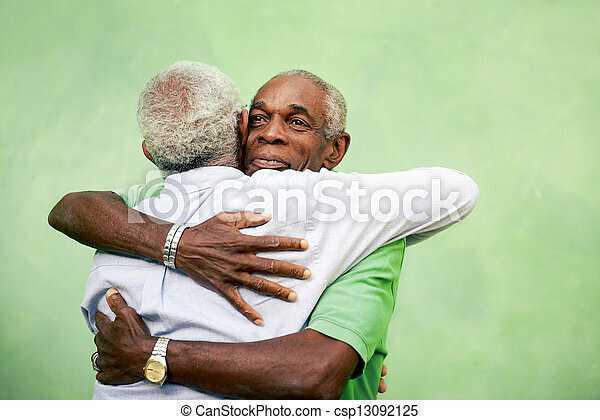 Active retired old men and leisure, two senior black brothers hugging outdoors. 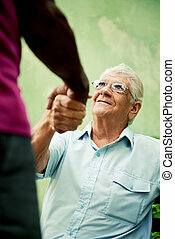 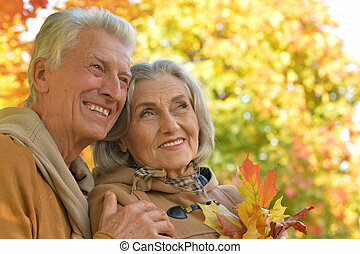 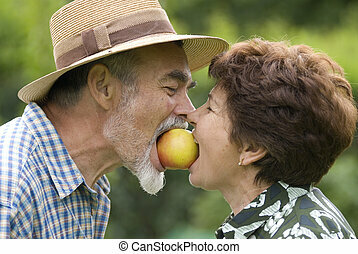 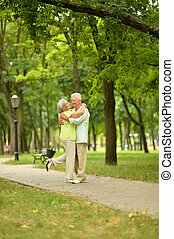 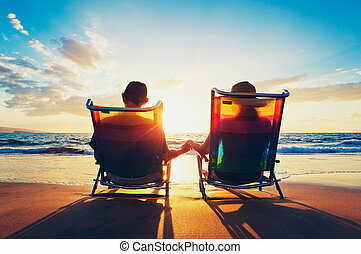 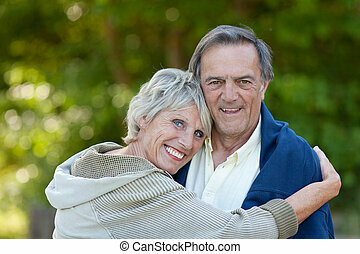 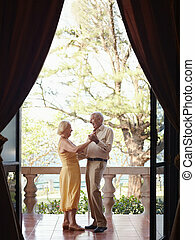 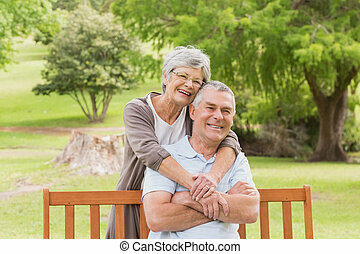 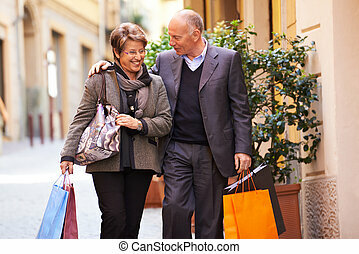 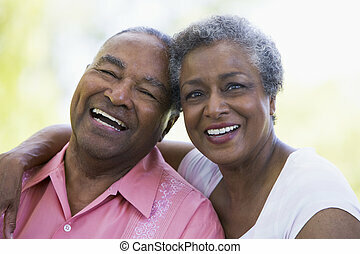 Senior woman hugging her male partner outdoors, a sweet elderly couple in love. 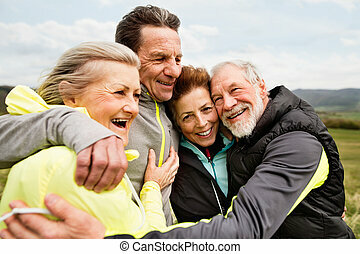 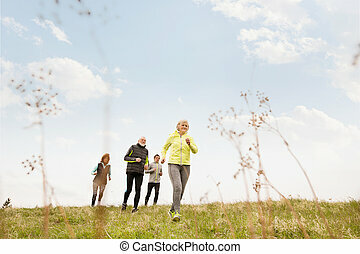 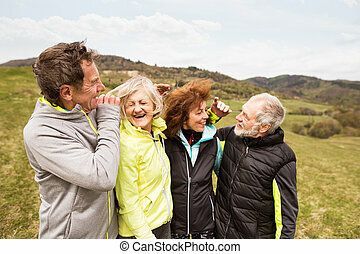 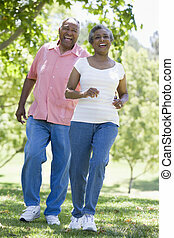 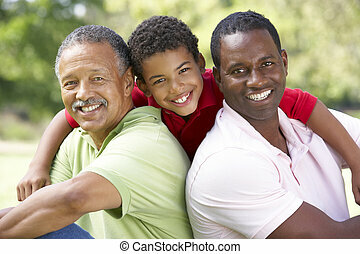 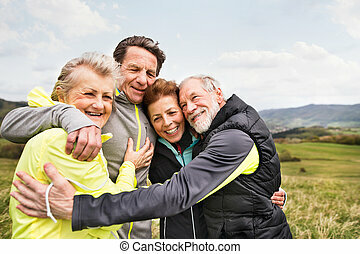 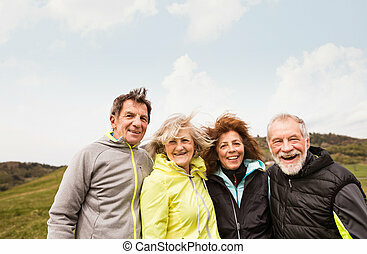 Group of active senior runners outdoors, resting and hugging in windy cold weather.